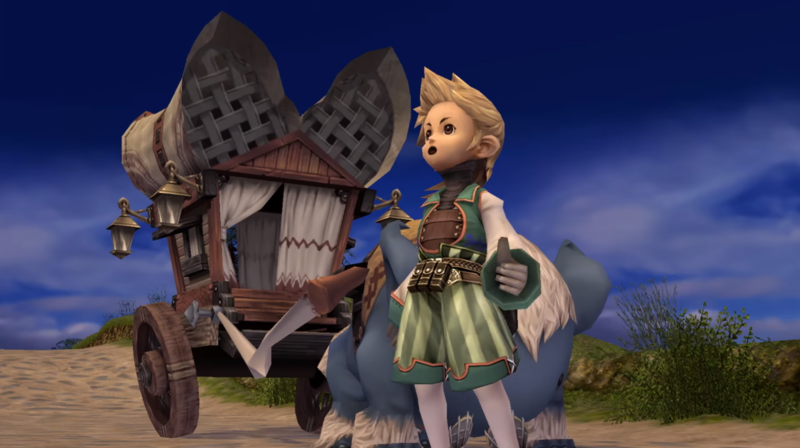 Square Enix has released a new trailer for Final Fantasy Crystal Chronicles Remastered Edition due out for PlayStation 4 and Nintendo Switch in 2019. This RPG involves up to four players (adventurers) embarking on a journey across the world to protect it from an evil miasma. The remastered title offers new areas to the game’s dungeons, additional voice-over work and more. Click here to view our Tokyo Game Show 2018 coverage. Posted in Final Fantasy Crystal Chronicles, Tokyo Game Show 2018. I don’t like those character designs but maybe they can be changed. Also don’t like hearts instead of an HP number. Of course I’m not because people don’t like hearing unpopular opinions. Look up ‘sarcasm’ in your dictionary, you might learn something. And you look up the phrase “ask a stupid question get a stupid answer” and get back to me. I did not answer you a question. Just to make sure you get it, when there is a ‘?’ at the end of a sentence than we call it a question. I advice you to make notes, since it’s very clear that as with the meaning of the term ‘sarcasm’ there is still a lot you need to learn.